Note: The articles provided here are hoped to be of interest to most Koi keepers. K.O.I. does not verify the information, nor does it expect the material to meet the higher standards of our ebooks or courses, so please be advised and use your own judgment if and when applying the info contained in these articles. This white paper was written by Ling Jin, on the recommendation by K.O.I. PLEASE SHARE with all breeders and dealers that you know, so everyone can understand the science behind KHV testing, and how to do it! Please ALWAYS give attribution to Ling Jin AND K.O.I. when you re-print the paper. 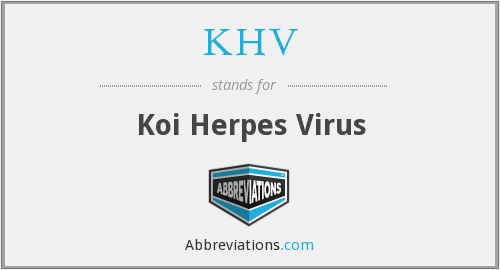 This article itemizes the current facts about KHV, what customers can reasonably expect from Koi dealers, what hobbyists can do to protect themselves from getting KHV in their ponds, and lists labs where testing can be done. It is a pdf file that can be downloaded or read on-line. YOU Can Guard Against KHV! This article explains in exact detail how to quarantine Koi to prevent KHV from getting into your pond. It contains the methodology, a complete equipment list, and all the considerations you need to think about. If you've ever wanted to set up a simple Quarantine tank, sick tank or holding tank - WITHOUT NEEDING A FILTER, this article is for you! Read more about YOU Can Guard Against KHV! As of September 2017, this is the latest and greatest article available anywhere on KHV. Keep Track of Those Units! This is a short, essential article for all pond/Koi keepers. Read more about Keep Track of Those Units! This is an article that provides easy explanations for some of the math used in calculating concentrations by weight. Read more about Parts Per What? Pond building is a project most of us will undertake at some point as we continue to raise Koi. Many of us first started with the introduction of a water feature, added plants, perhaps some goldfish and then Koi. A few of us bought a house where the prior owner had some type of pond or fountain, and we too evolved into having a Koi pond. Whatever way you arrived here, we all wrestled with similar questions: how large, how much to spend what kind of filters, and what do we make it out of. “Water, never touch the stuff, heard Koi spawn in it…” (this is a family web site).